For some time now, I have been impressed by those spinners on the Rav boards who spin enough yarn to make a sizeable garment like a cardigan or a jumper. I bought a kilo of undyed merino last year so I could try dyeing fibre, but I have only used small pieces of it to try different dyeing methods, so I still have the bulk of the kilo left. 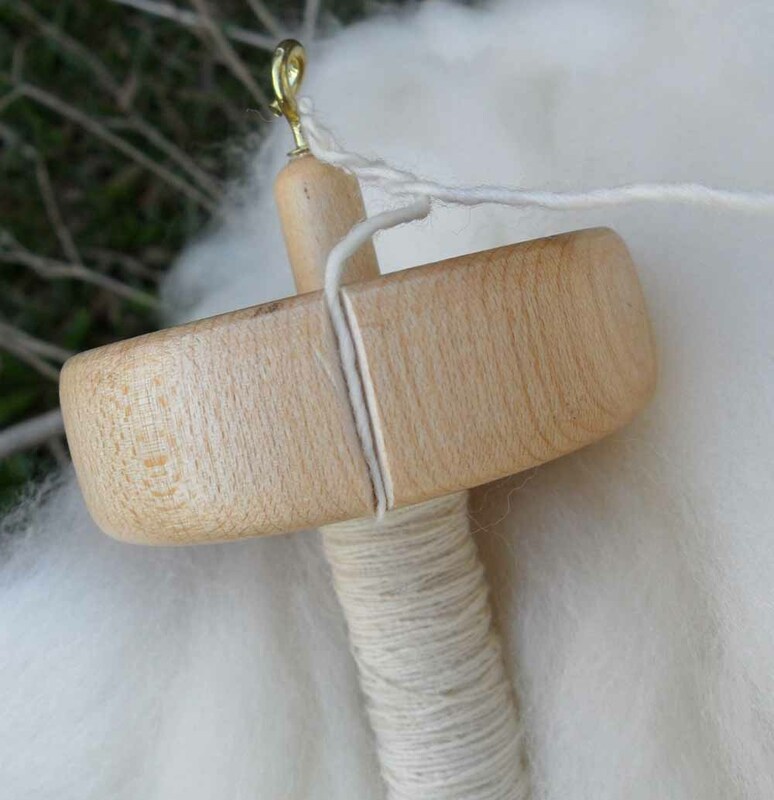 After finishing the perendale braid I have decided now is the time to start spinning for something major! While Lucy had her outdoor time today, I started spinning and catching up on podcasts. I had already decided I want to spin a 3ply sport weight (12 wpi). 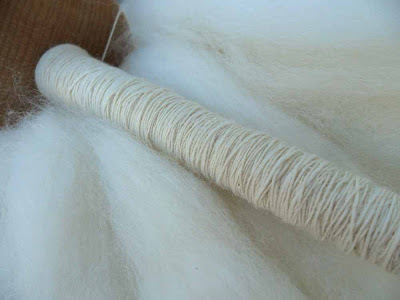 I also decided to spin the undyed fibre, as I'm not sure what colour I want the yarn to be. I must say that spinning undyed fibre is a dream. It is so soft and drafts itself! I am using the spindles I bought earlier this month. I have made a couple of adjustments to the hook, which I twisted to the shape I like, and the notch, which was very narrow, but a stanley knife and emery board soon made it more to my liking. There adjustments are personal preference only :) Anyone looking for value for money spindles, I can highly recommend The Knit Store ones. They are incredibly affordable and well made, and my spindles arrived 7 days after purchase, which is great from the US to Australia. Good luck with your spinning, I hope it works out really well for you! It is already looking good.